SoftPlanes® by Arktura offers seamless, subtle ceiling landscapes with real acoustical benefits. The visual interest of SoftPlanes® is enhanced by our Soft Sound® acoustical material (100% PET plastic with up to 50% recycled content). 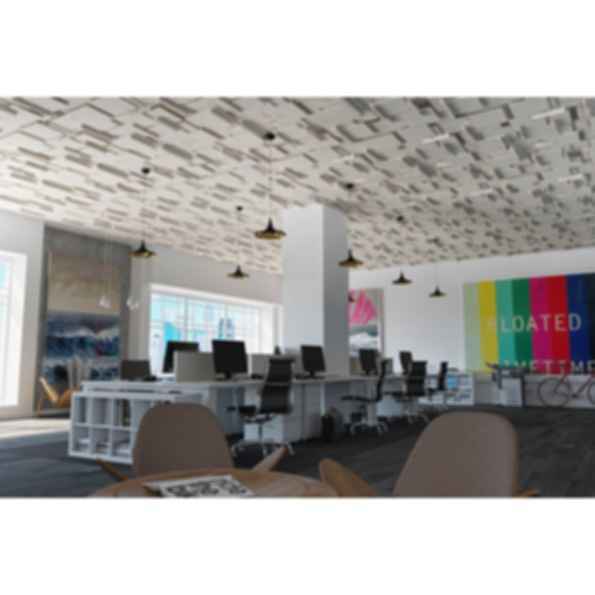 SoftPlanes® allows for an effortless install with nearly full ceiling coverage while enlivening closed lid ceilings with a complex, tessellated pattern.